Intellectually, we know that kids learn from challenges, and they grow stronger and have more self-confidence when they learn to navigate those challenges. But when you’re actually going through it it’s hard, as a parent, to watch your kid struggle. It’s also hard to identify where the line is between reasonable struggle and a real need for help. 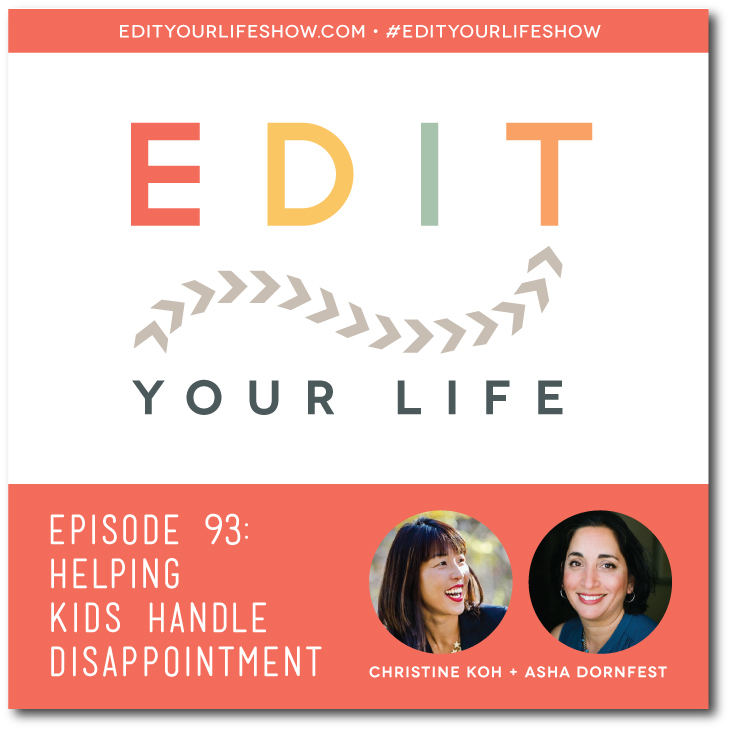 In Episode 93 of Edit Your Life, Christine and I share 8 tips for how parents can help kids handle disappointment while not hovering. When did you experience an initial disappointment that later opened the door to something positive? Join the discussion on the Edit Your Life Facebook page (look for the Question Of The Week post). For our 100th episode we want to do something special. We’d love to hear your voices in our ears (and also help you edit your life) so we’re planning a rapid fire episode where we address as many listener questions as possible. Record your question as a voice memo on your iPhone or voice recording app for Android and email it to edityourlifeshow@gmail.com by September 30!